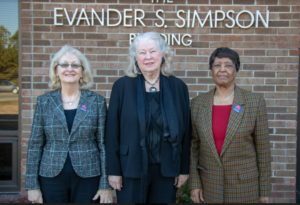 The Johnston County Board of Education recognized (from left) Phyllis Parrish, Joyce Wade, and Hazel Sanders for receiving the 2018 Living Legend Award. The award is presented to former Johnston County Public Schools educators who were dedicated to the children they taught and left a legacy of influential teaching styles. The School Board formally recognized the recipients at their January meeting.